Modeste Hargis, Whistling Pharmacist – Tell my story. I’m pleased to report that not only have I located Emmett’s doctors (both in Pensacola and Washington, D.C.), but I’ve also located his pharmacist. Pretty damn good History Detective work, huh? I’ll have more on the doctors in another post, but I thought I’d introduce you to the pharmacist first, because she’s REMARKABLE. Meet Modeste Hargis. The first (and youngest) woman pharmacist in Pensacola. 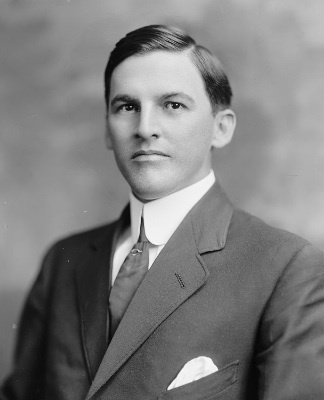 Modeste was born August 1875 in Pensacola, the daughter of Dr. Robert Bell Smith Hargis. She had four sisters and two older brothers, Robert and John, who also were physicians. Modeste decided early that she wanted a medical career, too. According to a feature about Modeste in a 1909 issue of The Pensacola Journal, she accompanied her father every day on house calls and appointments, and he taught her everything he knew. She couldn’t have had a better teacher, either — Dr. Hargis was not only a yellow fever expert, he, along with Dr. J.C. Whiting, established the Pensacola Hospital in 1868. He was well respected, well known, and considered one of the top physicians in West Florida. It is quite likely that Emmett’s father, Dr. Francis C. Wilson, at least knew of Dr. Hargis, if he didn’t actually practice with him on occasion. Modeste was interested in pharmacy, and Dr. Hargis encouraged and supported his daughter’s plans, even though it was still highly unusual for a young woman to enter a profession dominated by men. Modeste’s turning point came in 1893, at 18, when she passed the state pharmacy examination and was the youngest (and only) female pharmacist in Florida. Source: American Druggist & Pharmaceutical Record, Vol. 26, September 14, 1893. And less than three months later, Modeste’s father died. It is unclear what was the cause of Dr. Hargis’ death, but he died at home, at 109 E. Romana Street. Modeste’s quote gives us a clue that he was likely ill for a long time, and so his death was not unexpected. Just for kicks, I looked at Google Earth to see if the original house or buildings are still at 107-109 E. Romana. Alas, no — only a few modern box-shaped offices and an empty lot. The Hargis Pharmacy moved around a few times: In 1911, it was located at 8 E. Government Street — the location of Emmett’s office — in the American National Bank Building. I can imagine Emmett stepping out of the office, taking the elevator down to the first floor, to pick up a bottle of Bromo-Seltzer, and his brand of pomade (which I have not been able to figure out yet, but give me time). He could also pick up a bottle of beer or wine there too! Did you know the Hargis Pharmacy also made and bottled beer and wine? It’s true. Pharmacies could do that back then. By 1916, The Hargis Pharmacy had moved down the street from 8 E. Government, to 203-205 S. Palafox. Still, only a few blocks’ stroll for Emmett, should he need to pick up toiletries, or whatnot. Not surprisingly, Modeste was a friend of Minnie Kehoe’s, and, a supporter of women’s suffrage. Both were successful women business owners, too. I can well imagine those two getting together and having quite interesting conversations. Modeste spent most of her life as a pharmacist. It is unclear when she sold or retired from business. In 1934, at age 54, she was likely retired at that point, because she is simply listed in the Pensacola City Directory at home. Modeste signed on with the Federal Writers Project of the Work Projects Administration (WPA) for the state of Florida. She co-wrote a series of articles that appeared in a variety of publications, including the Florida Historical Quarterly. Interesting — she was probably a colleague of Zora Neale Hurston! Modeste’s most prolific year was 1939, according to Wordcat.org. She had NINE articles on a variety of topics, including Don Francesco Moreno, and an intensive study of Greek culture in Pensacola. Modeste lived with her sister Palmire in the 1940s. Palmire died in 1946; Modeste died in 1948. That’s a pretty decent sketch of Modeste for now; but there’s still a lot I don’t know about her. I wanted to search in the Library of Congress’ database this afternoon, but it is offline for annual maintenance until August 1. She must have been good at it too, because in 1927, Modeste had her own radio program about whistling! I wonder what was included in her show! Did she do all the whistling? Source: The Greensboro (N.C.) Record; February 21, 1927. Emmett definitely had some interesting friends in his life, and which says a lot about Emmett. Getting to know his friends and what they were like helps fill in the blanks about his personal life somewhat — at least until I get my hands on his scrapbooks. I have a tangential old family connection via our family trees. There is a mystery involving Decaturs and Andersons, and I will persevere. Meanwhile, Modeste Hargis is someone worthy of her own book. Absolutely. Modeste was quite an interesting woman. I’m collecting notes on her; I’m reaching out to the Florida pharmacists group to see if they are interested in an essay about her. May I quote some of this entry, on Modeste Hargis, on the St. Michael’s Cemetery (Pensacola, Florida) Facebook page. I will link the FB post to this entry. Hi Catherine! Of course! Thank you very much! In case you are interested, I also have a lot on Minnie Eloise Kehoe, also buried at St. Michael’s, in Emmett’s blog. Minnie and Emmett were lifelong friends. Thank you, again, for your post! Take care! My blog is to make Pharmacy history of Pensacola and the Pharmacists of Pensacola known and paying them tribute. One being Modeste Hargis and her story. But I have more research to do. May I also include a reference and link to your site on my blog? I may have some more questions to ask you. This is the most information I’ve seen about Ms. Hargis! You’ve done great research and it’s well written! Also great blog, overall. Hi April! Thanks so much for stopping by, and yes, Modeste was something else. Please feel free to link to her story. Last year, I located descendants of family members (like Emmett, Modeste has no direct descendants), but I didn’t hear back from them. I’m hoping that someone from Pensacola who may have letters or journals, or more photos might contact me (or you!) about her. I plan to work on a bio of her one of these days. She truly deserves it. Again, thanks so much for stopping by! April, just so you know, I’ve reached out to WCOR to see if they have anything in their archive about Modeste. My next stop is to check with the awesome Jacki Wilson at the Pensacola Historical Society, in case I can’t find anything there. Will keep you posted. Also I have another idea I’m working on to get Modeste recognized for her achievements. I’ll tell you about it when you contact me. I know Jacki too and have been getting help from her about pharmacy history in my family and pharmacy history of Pensacola. From my blog I’m writing a journal of which I will be donating a copy to the Historic Trust, that is when its complete…… uh, don’t know when, I’ve only just started and its a slow process with much work to be done. But I’ll soon be bringing Jacki some archives from my family pharmacy collection. Pingback: Modeste’s License – Tell my story. Pingback: Modeste Sierra Hargis – Tell my story.